Natspec welcomes the focus in Ofsted’s Annual Report on the importance of quality education for children and young people with special educational needs or disabilities (SEND). We share Ofsted’s concern that many local areas are not yet meeting their responsibilities to these children and young people, as set out in the Children and Families Act. We are pleased to see that Ofsted has specifically raised the issue of access to post-19 provision which we believe has become something of a postcode lottery, with many young people who would benefit from continuing to learn beyond the age of 19 being denied the opportunity to do so. As Ofsted observes, the SEND reforms have led to a rapid expansion of the specialist post-16 sector, with many local authorities seeking to place students in new specialist post-16 institutions (SPIs) rather than working with established providers to extend supply. As a result, 28 new SPIs have been funded by ESFA for the first time in 2017/18 or 2018/19. It has proved difficult for these new providers to achieve a good judgement in their first inspection, which has led to a drop in the percentage of good and outstanding independent specialist colleges, as Ofsted describes SPIs. 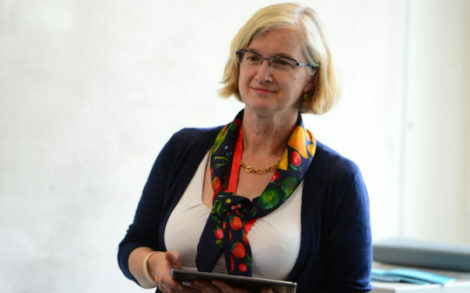 Natspec is keen to address this by working with DfE and LAs to ensure that new provision is strategically planned to meet demand, has a clear role and is of high quality, with a focus on creating an appropriate, adult learning environment that prepares young people for the next stage in their lives. Where new SPIs have been established, we support them by offering quality health check visits and ongoing consultancy support through our CPD service, Natspec Transform, and running quality improvement events during which new providers have the opportunity to learn from more established, successful independent specialist colleges. SPIs who become Natspec members also have access to a range of networks, forums, workshops and peer review and development groups, all designed to support quality improvement across our membership. We are very proud that 49 of the 51 specialist colleges graded Good or Outstanding are Natspec members. However, our vision is that all young people with SEND should have access to outstanding education and training, and we will, therefore, continue to support both our members and the wider sector to work towards this goal.